The rabbit is one of the UK's most familiar mammals, but what many people do not realise is that they are not a native to the UK. They were brought here 900 years ago from France by the Normans. They were used as an important source of meat and fur. Many escaped and thrived leading to the large populations that we see today. Adult rabbits can grow up to 40cm in length and weigh between 1.2kg and 2kg. The male rabbit is called a buck and the female is called a doe. Rabbits are prolific breeders and one adult female can produce up to 7 litters of 3 - 7 young in one year. These young are then able to start reproducing at just a few months old. This high rate of reproduction is one of their main reasons for their success. Rabbits are extremely resourceful and thrive in both rural and urban areas. They live in underground burrows and a group of burrows is called a warren. Due to being very resourceful and such prolific breeders rabbits are thriving in both urban and rural areas. One of the obvious signs of a rabbit problem is actually seeing the rabbits themselves. Other signs may include rabbit droppings and scratches and scrapes in lawns, vegetable plots and flower beds. Rabbits are capable of stripping gardens and vegetation which could also be a sign of their presence. How serious is a rabbit problem? 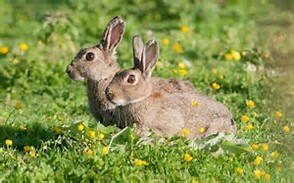 Rabbits are a major pest species in the UK causing destruction to both urban and rural areas. 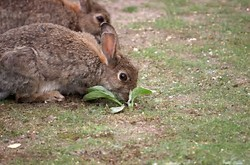 It is estimated that rabbit crop damage costs the UK agricultural industry £100 million a year. Burrowing rabbits also pose a threat to both livestock and horses alike. 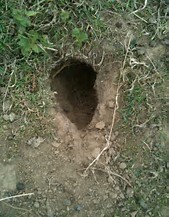 Animals breaking legs in rabbit holes is not uncommon. Without doubt they are the number one pest species for farmers. Hundreds of thousands of pounds worth of damage in the forestry and orchard industries is also attributed to by rabbit population. Ring barking, caused by rabbits gnawing around the base of a tree is the most common problem. Ring barking causes the tree to die. 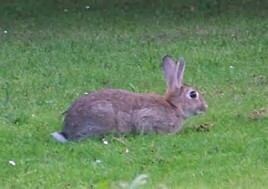 Rabbits are also thriving in urban and industrial areas. Tunnelling under pathways, roadways and buildings can cause weakness and damage to the structures. Due to their digging and chewing rabbits can cause fires and flooding which is a serious health and safety issue. Rabbits are also known to cause all sorts of problems in gardens. They eat plants and flowers and dig scrapes in search of young shoots. 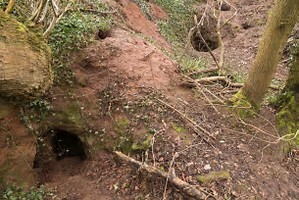 Their burrows also provide a risk of injury to both humans and pets. Rabbits will often live under decking, garden sheds and even houses, which could potentially cause issues with subsidence and heighten the risk of fires due to chewing electrical wires. 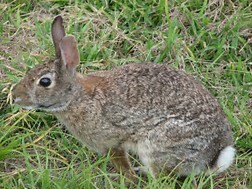 Wild rabbits are also known to pass on diseases to pet rabbits. Due to their prolific breeding rate rabbit numbers can increase dramatically if not controlled by a professional. 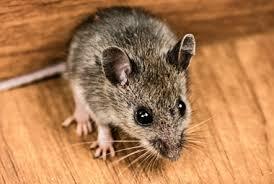 Wildlife management is a highly skilled area within the pest control industry. Here at Bradford Pest Control we are involved in the sensitive control of wildlife pests and follow strictly regulated conditions. Our team are specifically trained and knowledgeable to the highest standard in the control of wildlife pests.